In my time in the nursery, I’ve spoken to many people who never attempted growing houseplants in their homes and offices. Unfortunately, one of the recurring reasons I kept hearing–they owned pets, and so many houseplants are toxic to animals. 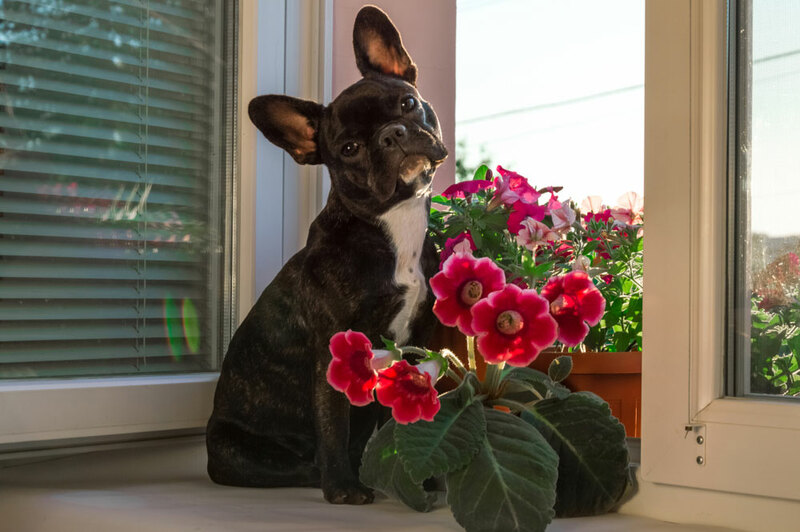 While it is true that that are many houseplant varieties that can cause toxic effects to pets, there are just as many varieties that are perfectly safe if your pets happen to take a little nibble. Below are five of the most popular types that are safe for pets. African violets are one of the most popular flowering houseplants for a good reason. They are very easy to grow for beginners, bloom frequently, propagate quickly, and come in so many different sizes and colors. They do best with bright, indirect light and well-drained potting soil (try Espoma Organic’s African Violet Potting Mix). Overwatering can quickly kill an African violet, so only water when the soil surface is dry. To avoid getting water on the leaves, fill a saucer with tepid water and place your violet inside, allowing it to absorb the water through the bottom of the pot. Tropical bromeliads are a great addition to any home, office, or outdoor living space. They add a bright, tropical feel with their long, colorful flower stalks that emerge from the center of the plant. Bromeliads prefer to keep moist (they’re native to rainforests, after all), so be sure to occasionally mist them and keep the cup-like base of the bromeliad filled with water. For best results, keep them in bright light or full sun. The Neanthe Bella, or Parlor palm, is one of the most popular houseplants available. They are so easy to care for and maintain due to their naturally compact growing habit and an ability to thrive in poor lighting conditions. Parlor palms grow very slowly, taking years to reach their mature height of 3 to 4 feet. They also do great in artificial light, so they make a great office plant or plants for low light areas, such as a basement living space. Parlor palms require ample watering during the warmer months of April through October during their prime growing season but need less water during the colder months. Orchids are one of the largest, and most highly evolved blooming plants in the world. Of all of the orchids readily available, the Phalaenopsis, or “Moth Orchid,” is one of the most popular and also one of the safest varieties for the pets. Phalaenopsis flowers are long-lasting and very showy. Orchids are not the easiest plants to maintain without some knowledge and a bit of work, but they are so rewarding for those that put in the time with them. If you have any experience with houseplants, it’s very likely you have a spider plant or two…or two hundred, in your collection. Spider plants are a great starter houseplant for beginners as they are one of the easiest to grow. They are also the most prolific, known for their offspring, called plantlets, that produce at the end of their stalks when root space begins to decrease. Cut these plantlets off with a pair of scissors and pot them up to have an endless supply of spider plants for yourself as well as your friends and family. They work great in a pot or even in a hanging basket. These are just some of the houseplants you can choose from that add interest and color to your home while being safe for your four-legged friends. As with anything, knowledge is power. If you’re ever in doubt about a plant, visit the ASPCA website. They have a tremendous database of toxic and non-toxic plants to help you make informed choices. So hopefully you’ve seen that your pets and houseplants can indeed coexist. Stop by your nearest Meadows Farms today and get stocked up on your favorites. Is peace Lilly dangerous to dogs? Hi, Jeff. Unfortunately, peace lilies are toxic to dogs. There is an insoluble calcium oxalate that can cause irritation and burning in the mouth if ingested and could cause vomiting and difficulty swallowing. If you keep it in an area outside of reach you should be okay, but otherwise, I would probably avoid them.